ORLANDO, Fla. - Pooch pals! 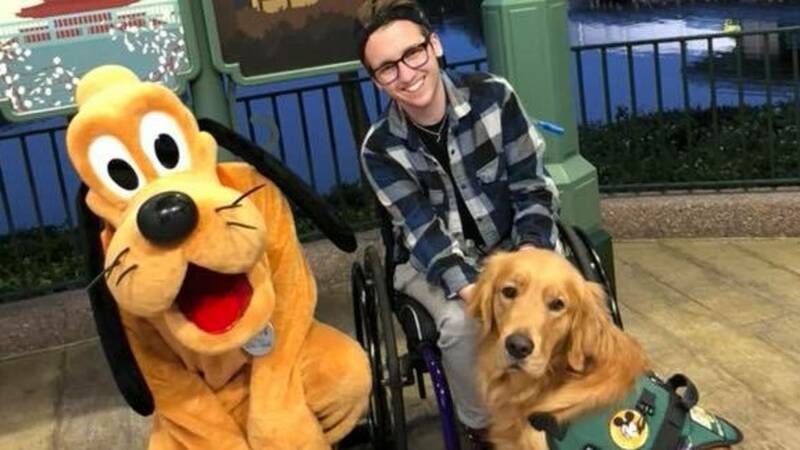 A service dog in Florida recently met his favorite Disney character, and it will definitely put a smile on your face. Atlas the service dog takes a trip to Disney World about once a week with his owner, Julian Gavino. It wasn't until recently, however, that Atlas was able to meet his favorite character, Pluto. Atlas recognized Pluto from a giant stuffed toy that he has at home. Video posted to Julian Gavino's Facebook shows the heartwarming meeting. It's safe to say Atlas really loved the real life Pluto.